What Is Career Unlocked, PwC's Game-Based Assessment? 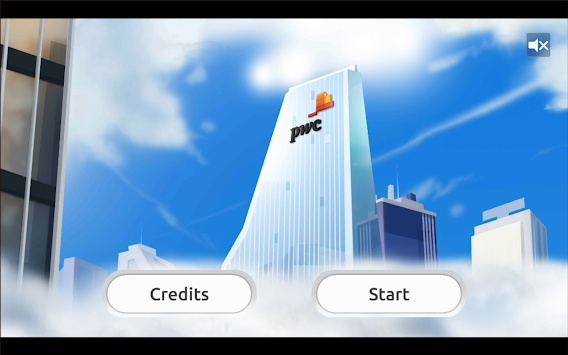 Career Unlocked is a new game-based assessment used by PwC in its recruitment process. Essentially, Career Unlocked aims to be an aptitude test taken in a different, more engaging way. It also aims to assess more broadly than other psychometric tests. It measures you on your numerical reasoning and abstract reasoning abilities, as well as looking at your behavioural tendencies. The test is designed by Arctic Shores, which says that the test “collects over 3,000 data points from the way in which you approach and decide to address each task”. It uses these data points to assess your aptitude and suitability for the role you’re applying for. According to the game’s designers, you won’t need any special abilities or familiarity with games to do well. Of course, practicing aptitude tests will always help, but if you’re not a gamer you won’t be disadvantaged. On the other side of that coin, if you are an avid gamer you won’t have a distinct advantage over other candidates. You should treat it like any other aptitude test and not be complacent. Career Unlocked consists of eleven different games covering the different skills PwC wants to assess. The test can be completed via a mobile app (iOS or Android), or on a computer (Windows or OS X). Note that some older systems and phones are no longer supported. The game also runs a little slower on computer, so using a phone is preferable. These games cover a wide range of different assessments. Included in them is a more standard numerical reasoning test featuring 18 questions and a logical reasoning test with 20 questions. Prepare for these separately as you normally would. Be sure to check out our guides to numerical reasoning tests, logical reasoning tests and cognitive ability tests. Each game in Career Unlocked is small and the controls are designed to be very simple and intuitive. If played on your phone, you will not need to do anything other than tap your finger, and the controls will be clearly explained before you start. Games include exercises like decoding the five-digit lock on a safe, selecting the next number in a sequence and identifying how a person is feeling based on their facial expression. In general, they are a mix between reaction games, logical reasoning games and behavioural assessment games. Other games include a balloon game that’s about taking calculated risks, pressing on the balloons to inflate them as much as possible without bursting. There are also memory games, for which you should make sure you have pen and paper handy. While the test isn’t explicitly timed, time is still important. Some candidates have said that if you spend too long on the test, you will simply fail. The recommended time to completion is around 75–85 minutes. The important thing to remember here is to not be too perfectionist, trying to ace every exercise. Get a solid score and move on. At the end of the test, your data will be sent to the servers and a report will be generated outlining how you did. It’s tough to tell what a good score is in Career Unlocked because it’s not really ‘scored’ like a normal game. As mentioned previously, PwC is not only looking at the outcomes of the games, but also how you play. The aim is more to see your thinking process and your approach to logical problems under pressure. More important is the feedback that you receive at the end, which describes how the system assessed you and what that means. Similarly, many of the game-based assessments are behavioural. That means there is no right answer. Instead, these are questions that aim to build a profile of your personality and predict how you might act in work situations. With that in mind, don’t stress too much about how you might score or how quickly you can rush through each game. Focus instead of approaching each problem calmly and logically. If you score well enough, you will be immediately invited to a video interview. If you score a little lower, but not enough for an outright rejection, you will instead be asked to wait until the deadline has passed. If there aren’t too many later candidates who then surpass you, you might still get through to the next stage. This part has one indicator that measures how well you can interpret emotions and facial expressions. This section has two indicators. The first measures how quickly you can process information in comparison to other candidates, while the second judges whether you are more confident working with larger or smaller amounts of information. There are three indicators here. The first aims to measure whether your are more or less motivated by reward. The second looks at how quickly you tend to bounce back after setbacks, remaining focused on the goal despite adversity. The third indicator looks at whether you are more influenced by thoughts and feelings, or by values and goals. Whether you prefer your own style or tend to adjust your behaviour according to the context. Whether you are more focused on personal needs or the needs of others. Whether you tend to be more passive and thoughtful or more dominant and assertive. Whether you feel more or less energised by social situations. Whether you tend to deliberate carefully or trust your instincts on decisions that involve risk. Whether you tend to be more realistic or more optimistic. Whether you prefer familiarity and consistency or variety and change. Whether you prefer tried and tested solutions or new, experimental approaches. Whether you tend to be more impulsive or deliberative. Whether you tend to make decisions based on intuition or on rational thought processes. Whether you’re more comfortable with certainty and predictability or with uncertainty and unpredictability. Whether you tend to think more precisely or more creatively. Again, there are no right or wrong answers here. In each of these indicators, both ends of the scale have their advantages and disadvantages. But it’s useful to know that these are the factors you are being assessed on when you tackle the test. Read the instructions carefully. Before each game, you will be told how it is played and what the goal is. Make sure you’re absolutely certain of what you need to do – there’s no sense in messing up because you skimmed the guidelines. Don’t stress about the ‘game’ side of it. If you’re not an avid gamer, don’t let the word scare you into thinking your job opportunity will be scuppered by people who play Call of Duty ten hours a day. That’s not how it works. The controls and the games are based on research into cognitive aptitude tests and are designed to be intuitive even to non-gamers. Borrow a phone or tablet if yours is old. Unfortunately, because many of the games rely on reaction time, if you have an old, sluggish phone, your performance might be impacted. If you’re able to, play the game on a friend’s newer, more powerful phone. Note that it it not recommended to play on PC or a laptop, as the games run slower, which can affect your score. Make sure you won’t be disturbed. This is especially important, as you’re likely to be playing Career Unlocked on a phone. Turn your phone onto Do Not Disturb mode, or something similar. The last thing you want while trying to concentrate on the test is for a group chat to suddenly blow up. Turn it on silent too. Then check your surroundings. Make sure your family or roommates know that you are not to be disturbed, close your door, and remove any other potential distractions. Inform them if you have a disability. Disabilities of all kinds can be and are accommodated and/or accounted for in the assessment. If you have a disability that you think could affect your performance, let them know as quickly as you can and see what they can do for you. Try out a practice game first. The company that makes the Career Unlocked games is called Arctic Shores. On their website, they provide a free game called Firefly Freedom, which candidates can use to practice. This is a different game to what will be used in the assessment, but it’s a good idea to become familiar with the style anyway. It’s also well worth visiting their candidate support page, where they have a list of useful FAQs.